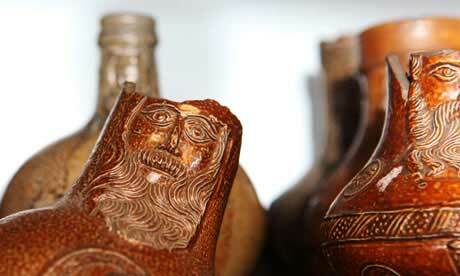 Medieval drinking bottles from the Museum of London Archaeology's collection. MOLA (Museum of London Archaeology) is looking to recruit an Environmental Archaeologist to join its processing team. The successful candidate will be responsible for processing, sorting and recording environmental and geoarchaeological samples from a large Medieval and Roman waterlogged site in the city. This will be excellent opportunity to gain experience of working on excellently preserved organic material. Fixed Term post with potential to extend. Applicants must have previous archaeological experience in a comparative environment and demonstrate knowledge of environmental processing and sampling methodologies, along with an understanding of archaeological data. Museum of London Archaeology is a leading archaeology practice, which provides professional advice and services to the property industry and heritage sector. Based in central London we work at sites across the UK and employ a wide range of people in jobs as diverse as the team we wish to build. Museum of London Archaeology is part of an Independent Charity.